1. 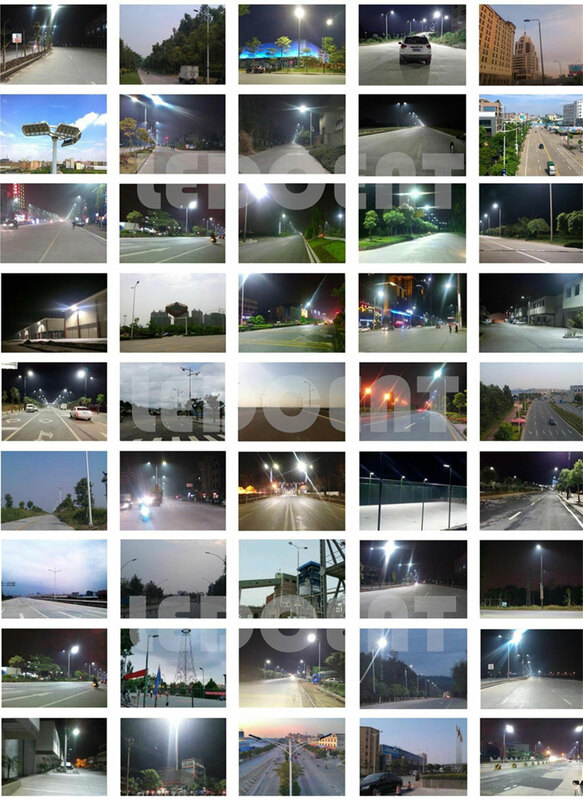 5 Patent technology, win National design award for LED street lighting. Modular design with easy maintenance and replacement. 3. Endure extreme weather, cold or hot, can be work with stable performance under -40 ~ +55 ℃ environment. 4. Bridgelux LED chips, Meanwell/Moso/Philips driver, CE/UL certified cable, 304 stainless steel screw, ensure excellent LED street lights. 5. More safe, each LED street light equips with steel rope, never fall off from lamp pole when violent crash. 6. Water proof IP67 design, can be immerse into water. Zhonogshan LEDcent Lighting Technology Co., Ltd is one of the best China LED street light manufacturers which islocated in one of China lighting capital-Zhongshan city. With registered capital 51million RMB, honored as China High-Tech Enterprise, Guangdong Bench Marking Enterprise, Key Supplier for Government. With branches in Zhejiang, Shanghai, Shenyang, Hainan, Yunnan, Xinjiang. With over 160 marketing center. Our products are widely export to over 20 countries worldwide. We are professional in design and develop, manufacture and export all kinds of LED street light, LED tunnel light, LED flood light, LED wall washer, LED highbay light.,etc. Equipped with high-end and automatic production line, with our professional R&D team, every piece of our products are masterpieces, all products are produced strictly in accordance with ISO9001, ISO14001, OHSMS18001 quality, enviromental, healthy system. Our products have passed CQC, CE, FCC, ROHS, energy saving certifications.